As building codes and environmental trends continue to evolve, so too does the diversity of roofing material options. These factors, along with others, make construction specifiers’ roofing installation and selection prowess of utmost importance. Among the available choices is thermoplastic polyolefin (TPO). Despite the fact this technology is fairly new in the scheme of roof materials, it makes up one of the fastest-growing sectors of the commercial roofing industry. That growth brings with it constant improvements to the chemical composition of the membrane to achieve greater durability and longevity. “We at SPRI are confident TPO roofing systems will continue to provide quality and value for many years to come,” said the association’s technical director, Mike Ennis. Beyond durability, TPO single-ply roofing membranes offer several other performance and installation advantages. These assemblies can provide resistance to ultraviolet (UV) rays, ozone, and chemical exposure. Further, the reflective surface meets the U.S. Environmental Protection Agency’s (EPA’s) Energy Star requirements, and is both recyclable and composed of recycled content.
? various surfaces (e.g. vertical parapet walls) and slopes. When it comes to color choice, white is among the most popular option for reasons discussed later in this article. However, it is not the sole TPO variety to consider, particularly if another hue better suits a rooftop. In addition to white, TPO membranes often come in gray and tan. 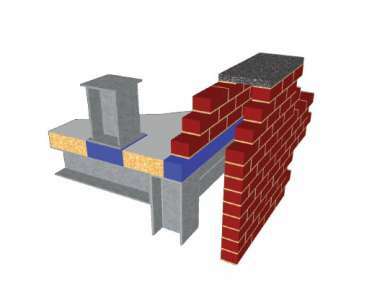 Since TPO membranes are installed fully-adhered, ballasted, or mechanically fastened, they work with a range of building envelope designs, offering architects flexibility. 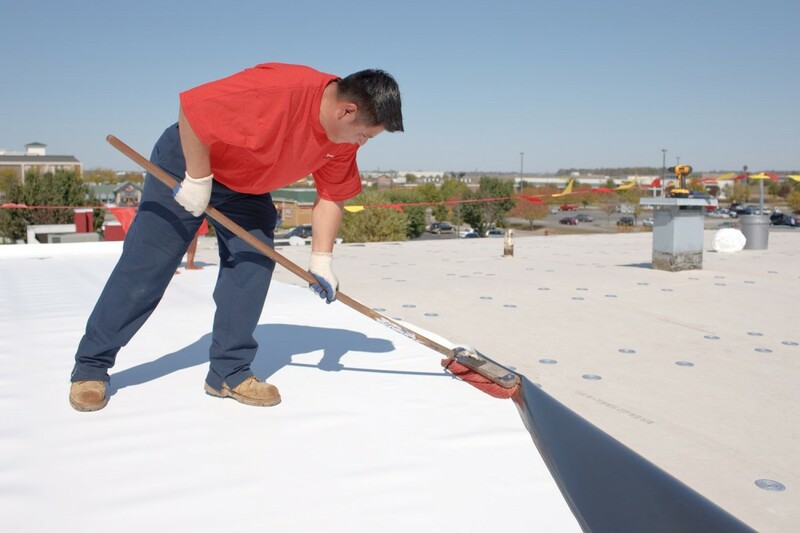 Architects most commonly select TPO roofing for flat or low-slope installations because of its cost-effectiveness, easy installation, and heat-welded seams that prevent moisture penetration. A specific driving factor for choosing TPO is within the realm of cool roofing. The Cool Roof Rating Council (CRRC) was created in 1998 to “develop accurate and credible methods for evaluating and labeling the solar reflectance and thermal emittance of roofing products,” according to the nonprofit organizatio n’s history and bylaws. 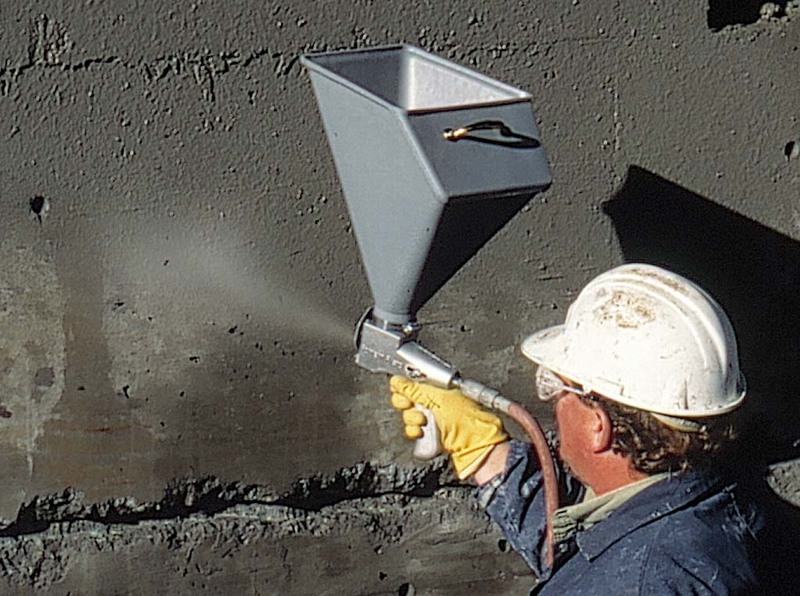 In the 15 years or so since, a lot of roofing products now come in what can be considered ‘cool’ varieties.3 Field-applied coatings, single-plies, tiles, and others fit this bill, which the council defines as a surface that reflects and emits the sun’s heat back into the sky rather than transferring it to a building. 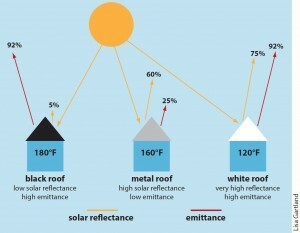 A roof’s solar reflectivity and thermal emittance (the ability to release absorbed heat), are both measurable factors, according to the U.S. Green Building Council (USGBC). The Green Building Alliance, a chapter serving the Greater Pittsburgh, Laurel Highlands, and Northwest Pennsylvania branches, says as many as 90 percent of roofs in the United States are, “poorly designed and built with dark, non-reflective heat-absorbing materials,” causing rooftop temperatures to hover as many as 50 C (90 F) above that of the air. You May Also Like How does TPO stand up to accelerated weathering? 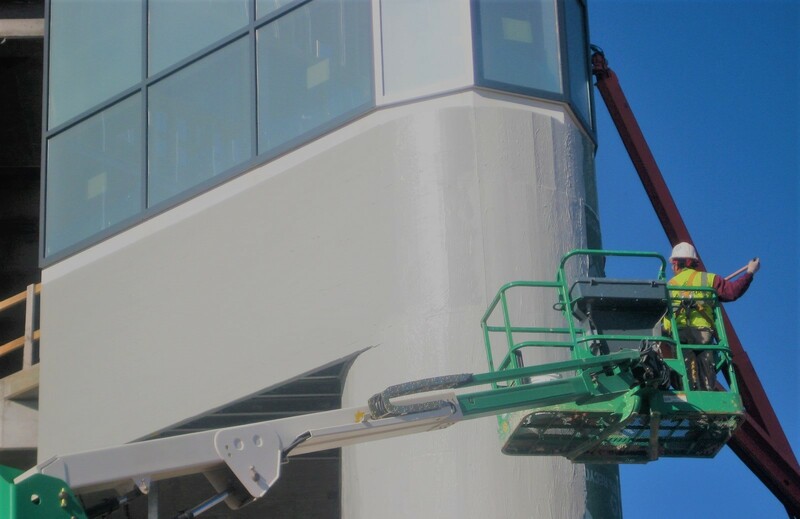 The more reflective a TPO surface, the more likely it will comply with increasingly stringent building codes. Therefore, white TPO membranes—the most reflective—can be a suitable choice for those striving for maximum energy savings and environmental benefits. On a hot, sunny summer day, a black roof that reflects five percent of the sun’s energy and emits more than 90 percent of the heat it absorbs can reach 82 C (180 F). A metal roof will reflect most of the sun’s energy while releasing about a fourth of the heat it absorbs; it can warm to 70 C (160 F). 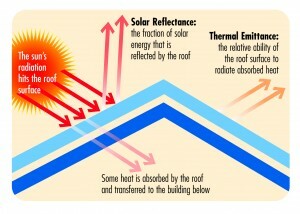 A cool roof will reflect and emit the majority of the sun’s energy and reach a peak temperature of 48 C (120 F). CRRC lists white, tan, and gray TPO roofs among its ‘environmentally friendly’ options, and white and tan are compliant with California’s Title 24 Energy Efficiency Building Standards. Cool roof requirements have been adopted in several U.S. building energy codes, and an increasing percentage of electric utilities have begun offering rebates for cool roofing materials, including TPO, that help conserve energy and reduce buildings’ environmental impacts.
? reduced energy bills because less air-conditioning is needed during the summer. Not unlike other roofing product manufacturers, those offering TPO will recommend consulting a design professional to ensure proper roofing system selection, conformance to building codes, and insurance requirements. Such customizations further emphasize evaluating a roof’s current condition is paramount when determining how best to repair or replace it. 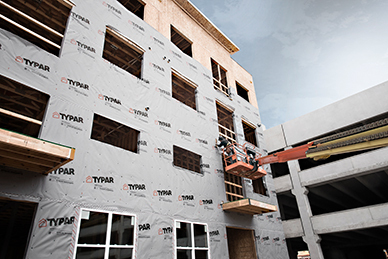 Further with ever-changing code and material options available, it is important for construction professionals to remain educated about the changing commercial building products landscape. Of course, amidst the increasingly popular cool roofing and TPO possibilities, it is crucial to be cognizant of the fact roofing materials are not the sole remedy to increase overall building performance. It takes a holistic approach to have a building perform at peak efficiency. This fact emphasizes the importance of building products manufacturers working closely with architects and construction specifiers—as well as consultants, contractors, facility operators, and building owners—who share similar goals of increasing overall building performance. 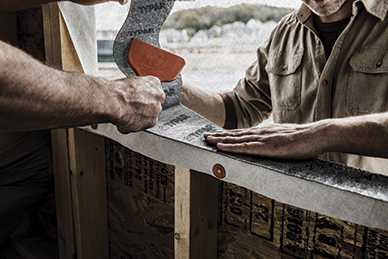 Together, these professionals should consider the entire building envelope to continue revolutionizing the commercial building industry, yielding an impact that reaches far beyond their individual buildings, cities, and immediate populations. Mike Mendoza is the thermoplastic polyolefin (TPO) product manager for Firestone Building Products. He is responsible for researching market trends and directing the planning and development of thermoplastic products. 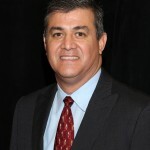 Mendoza previously spent 13 years at Owens Corning where he served in various roles including as a southwest region sales manager for roofing, strategic product planning manager for asphalt, and director of global sourcing for insulation. He can be reached at mendozamichael@fsdp.com. This is a great guide for all homeowners or property owners to have this kind of idea chooing the single ply roofing membrane. Wow, I had no idea that TPO was such an advantageous roofing material to get for your commercial roof! The fact that it is highly reflective and can withstand really high temperatures is definitely really nice. In fact, this may be a good option for our office building’s new roof. However, we would just have to find a contractor that is experienced enough in installing TPO. MY NAME IS PAUL MARKE AND I HAVE BEEN ASKED BY MY SON-IN-LAW…..MR. MICHAEL LONSDALE TO TRY AND FIND OUT THE PARTICULARS OF INSTALLING A NEW ROOF OVER HIS BUSINESS LOCATION IN NORTHEAST……(CLEVELAND AREA)……. OHIO. YOUR PRODUCT SEEMS TO BE THE “BEST” AND MOST LOGICAL CHOICE FOR A GREAT SEAL AND ROOF LOGEVITY. HOWEVER, IT REALLY BOILS DOWN TO THE CERTIFIED ROOFING COMPANIES THAT HAVE THE TECHNICIANS TO PROPERLY APPLY YOUR PRODUCT. DO YOU HAVE A PREFERNTIAL LLISTING OF A FEW COMPANIES THAT CAN PROPERLY APPLY TPO ROOFING MATERIAL? MIKE IS MORE THAN WILLING TO WORK THROUGH YOUR DISTRIBUTOR….A ADVANCED BUILDING PRODUCTS LLC…. (OR WHOMEVER) AND THE CERTIFIED CONTRACTORS WHO PROPERLY APPLY YOUR PRODUCT. As a member of Roofers and Waterproofs Local 44 in Cleveland, Ohio. Please give Industrial First Roofing Systems a call and ask for Greg Klik. 226-337-7564. We would be happy to talk to you about your roofing needs. We are a Firestone certified installer and have done many TPO jobs. Thanks. I want to change the roof of my home. I am trying to find details and I am confused! what kind of roof shall I install? After reading your blog I am confident enough to get TPO roofing done.It’s a great post for the guys who don’t know anything about roofing. So keep posting and spread the knowledge among us. Thank you! !